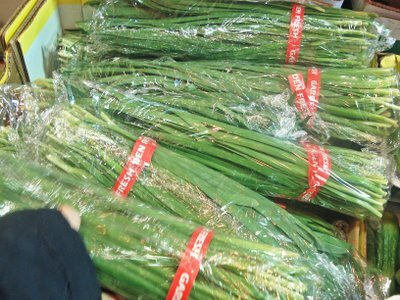 These tender shoots are sold fresh in Korean grocery stores. They have a bit of a garlicky kick and add flavor and color to many dishes in Korean cuisine. 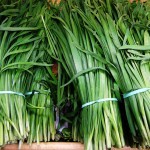 Scallions are an acceptable substitute, or the green part of green onions, or even spinach. Posted on Tuesday, February 26th, 2008 at 11:17 pm. Last updated on March 28, 2015. Posted February 21st, 2018 at 1:05 am | Log in to reply. 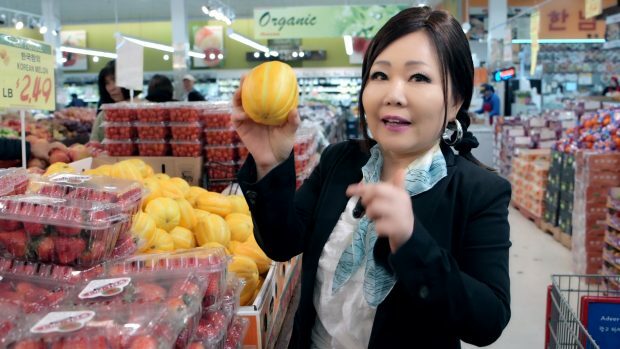 just to make sure I buy the right thing… is this Buchu? Posted February 24th, 2018 at 12:56 am | Log in to reply. These are green onions (scallions)! Wow they look really fresh! Posted February 3rd, 2018 at 5:28 pm | Log in to reply. I have much more buchu than I needed to make white kimchi. Is there a way to freeze it so I dont have to throw it away if I cannot use it up before it goes bad? I hate to waste food. Thank you! Posted February 4th, 2018 at 1:16 am | Log in to reply. No you don’t freeze buchu. How about making buchu kimchi? Posted February 6th, 2016 at 8:57 pm | Log in to reply. Hi! I’m trying to grow my own garlic. As a kid we grew it, and we used the bulb, the greens, and even the flowers in different dishes. Can I use my garlic greens as a substitute for buchu in Korean recipes? I can’t find it anywhere, so I always use green onion, but since buchu is sometimes called garlic chives, I wonder if the taste is similar? Thanks!!! Posted March 12th, 2013 at 12:20 pm | Log in to reply. can u use green onions instead of buchu? i have lots of green onions and they need to be used soon! let me know please! Posted March 12th, 2013 at 12:22 pm | Log in to reply. i meant for the kamja jeon. use green onions instead of buchu. Posted March 12th, 2013 at 3:53 pm | Log in to reply. Posted January 13th, 2011 at 6:01 am | Log in to reply. in my country its called ‘kucai’..i noticed there are 2 kinds of chives here, one with flower and one without flower. Posted August 20th, 2010 at 3:24 am | Log in to reply. This chives look like Gow Choy (Chinese Chives) or in Malaysia we call it Kucai. The older harvested plant has white color flowers. I am going to make Kimchijiggae tomorrow. Just got myself an earthen Korean pot, napa cabbage kimchi, radish kimchi, hot peper flakes and Gochujang paste from a little Korean town (Ampang) within our city. So I am checking Maangchi’s website to find out more recipes so I can have a Korean nite dinner tomorrow.